Most students have now been back over to Wobage to collect your wonderful array of fired pots from our 2017 season. We will be contacting those of you who haven’t very shortly. If for some reason you’ve been unable to pop in yet, please make arrangements with Jeremy asap, and a day or two in advance of visiting. Regrettably it is not possible for us to pack and post the large volume of course pots that we fire each year. However, if the distance you’d need to travel is impractically long, we are happy to fulfill this arrangement with a courier. 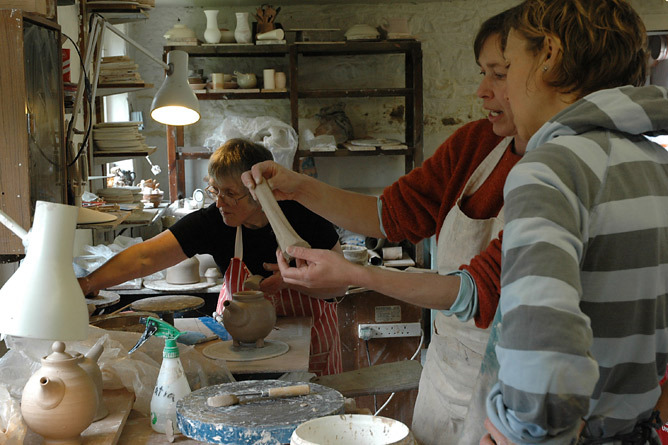 We are excited to announce that our programme of Pottery Courses for 2018 is now fully published and available for booking. Jeremy will host two Beginners in Wheel-Throwing stoneware, each two days in duration. The first Thurs./Fri. 22nd/23rd March and the second Thurs./Fri. 28th/29th June. Jeremy will also host two Improvers, for intermediate and advanced throwers. The first is a three and half day focusing on Jars and Teapots; lids, galleries and spherical form: Tuesday – Friday 3rd – 6th July. 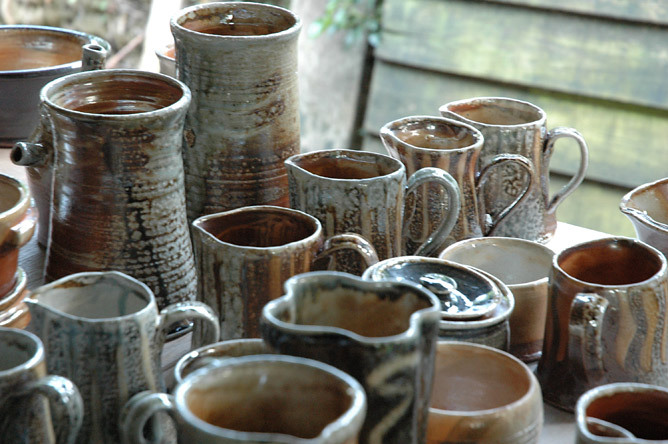 The second is a three and half day focusing on Jugs and upright form: Thursday – Sunday 26th – 29th July. 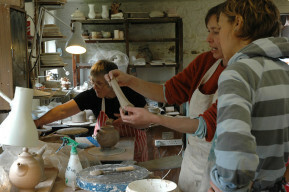 Patia will host her four-day Earthenware Slip-decoration course, Thursday – Sunday 12th – 15th July. 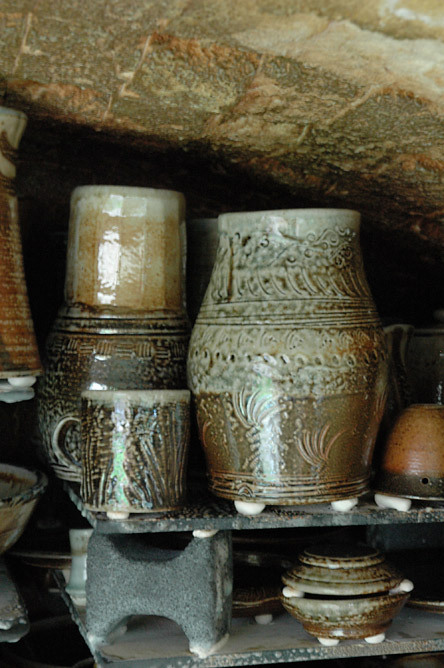 The first Beginners in March, and Patia’s Earthenware Slip course have only a handful of places remaining between them, so to secure a place on either of these you’ll need to be quick! A half-day Wheel-throwing Taster session in September which falls during our h’Art Open Studios and WAM ’18 (Wobage Artisan Market), will be advertised later in the season.